Compare Coles and Woolworths on online grocery shopping satisfaction. The two supermarkets have been compared on website navigation, customer service, product availability, deals and specials, food freshness, delivery/pick-up reliability, value for money and overall satisfaction. In a battle between two giants, Woolworths has gained the upper hand on Coles in Canstar Blue’s customer ratings for online grocery shopping, achieving five stars for customer service, deals/specials, delivery/pick-up reliability and overall satisfaction. The grocery shop usually keeps the household running smoothly, but actually doing the shopping can be quite the mission, with packed car parks, narrow aisles and screaming kids easily turning what should be a simple outing into a frustrating ordeal. 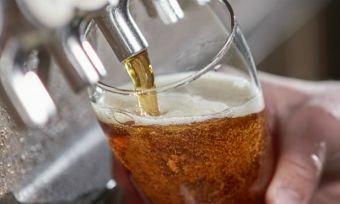 Thankfully, the big supermarkets are turning to online delivery as a means to not only ease congestion at the checkouts, but give busy customers an easier way to stock up on the essentials. Over the past few years, loading up the virtual trolley has become the preferred method of shopping for an increasing number of Australian households, with 59% of online grocery shoppers in our 2018 survey expecting to do most of their supermarket shopping online going forward, with 28% currently doing all of their grocery shopping this way. But as handy as online shopping might be, it’s still not perfect. The fact is that when you give someone else the responsibility of doing your grocery shopping for you, you might not get exactly what you wanted. Include delivery times and costs, and suddenly you might wish you went to the supermarket yourself. Woolworths came out on top, scoring five stars for delivery/pick-up reliability, customer service, deals/specials and overall customer satisfaction, with four stars on value for money, availability, food freshness and website navigation. 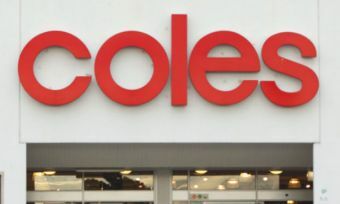 Coles scored four stars for overall satisfaction, food freshness and website navigation, as well as scoring five stars in the same categories as Woolworths, but three stars for value for money and availability. The survey found that delivery/pick-up reliability (18%), value for money (17%) and availability (16%) are the most important drivers of customer satisfaction, but it only takes one small thing to go wrong to ruin an online shopping experience. Read on for further details about online grocery shopping, including costs. Meanwhile here are some of the key findings from our 2018 survey, including why consumers choose to shop online rather than in-store. 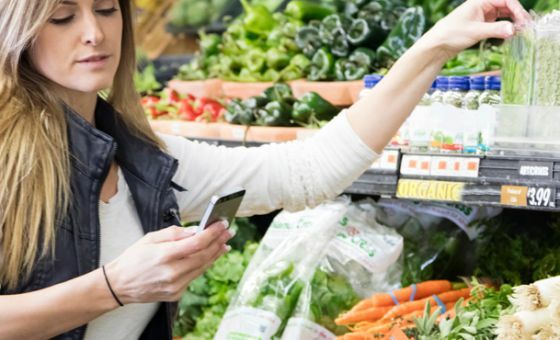 It’s hard to imagine a time when online grocery shopping will be perfect, simply because of the number of variables that can impact and damage the customer experience. And consumers are not afraid to vote with their fingers, with more than a quarter of survey respondents (26%) trying more than one service for their shopping needs. A similar number (29%) reported using a different grocery chain for online shopping than they would usually visit in person. While it’s a handy service to use, especially if you run a busy household, getting your groceries delivered to your door unfortunately doesn’t come free, with the supermarkets charging different delivery costs. Woolworths states delivery costs on its website, with a minimum charge of around $12 for metro areas, although if you spend big on your grocery shop – over $300 – deliveries will be free. The minimum spend to qualify for delivery is $50, with Woolworths also allowing you to track your delivery. The supermarket giant additionally offers customers the chance to get their groceries in under two hours with Delivery Now, although you’ll have to keep your order under 30 items, and is only available in select areas. See the Woolworths website for all the specific details and customer contact information. Coles clearly outlines delivery and collection costs on the FAQs section on its website, with delivery costs dependent on your location, the time of day, and length of delivery window chosen. 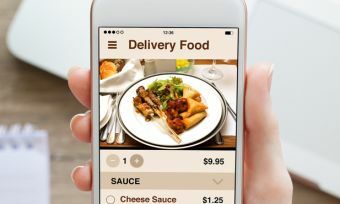 Metro delivery fees will generally range between $4 and $18, but there are a few ways to save, including free delivery on your first shop should you spend over $100. Check the Coles website for more information and customer service opening hours. 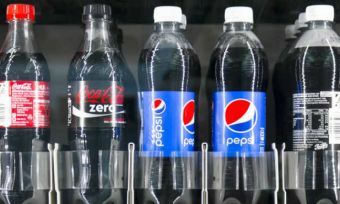 In addition to home deliveries, some retailers will give customers the option to buy groceries online and collect their items from the store, or other location, at a later time – cutting out the need to walk up and down the aisles yourself. Click & Collect is available at selected Coles supermarkets, plus its refrigerated lockers located at Coles Express outlets. Woolworths also has a collection service called Pick Up whereby customers can place their orders through the Woolies shopping app and receive a notification when the items are ready to be collected. Even if you’re satisfied with the service you receive from Coles or Woolworths, it’s worth keeping these other retailers in mind. Does ALDI do home deliveries? ALDI does not offer home grocery deliveries, but there are groups that offer to visit an ALDI supermarket for you, buy the groceries you want, and then deliver your items right to your door for a fee. Which online grocery store should I choose? Grocery shopping can be a time-consuming outing for many households, particularly if you have plenty of mouths to shop for. Thankfully, online grocery shopping can take the stress out of filling your trolley, as well as ensure that no extra goodies sneakily find their way to the checkout. Ultimately, whichever online grocery service you decide to use should be based on your circumstances, as one supermarket may be closer to you, or you may prefer to rack up your rewards points. Regardless of where your supermarket allegiances may lie, it’s always best to look into all your options, as you may be able to find a more convenient service to fit your busy lifestyle, or find a cheaper option. The beauty of shopping online is that it’s easy to shop around and compare products and prices from different websites. However, you will only really know how good an online delivery service is when the driver knocks at your front door and hands over your groceries. That’s why our customer review provides a helpful insight as our ratings reflect the real-world experiences of more than 1,500 customers just like you. When you can, it’s a good idea to take advantage of free deliveries to give the retailer a test run before you have to pay. But keep an eye on delivery charges, because the more you pay, the less benefit there is from shopping online. 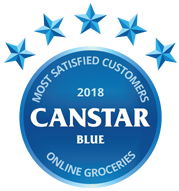 Canstar Blue surveyed 6,000 Australian adults across a range of categories to measure and track customer satisfaction, via ISO 26362 accredited research panels managed by Qualtrics. The outcomes reported are the results from customers within the survey group who have ordered groceries online (excluding alcohol) in the last 6 months – in this case, 1,512 people.